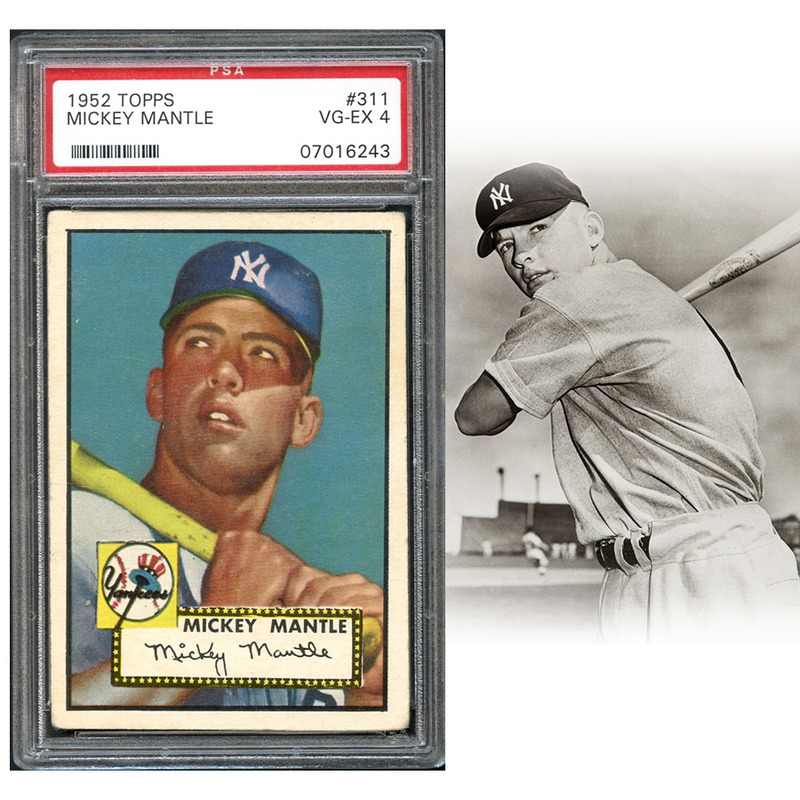 Having built a reputation for quality and consistency, it's become expected that the newest selection of offerings in any upcoming Mile High Card Company catalog auction will feature one or more 1952 Topps Mickey Mantle cards, the gold standard of post-war pasteboards. Well, we don't want to disappoint our growing legion of world-class collectors, so here we go! 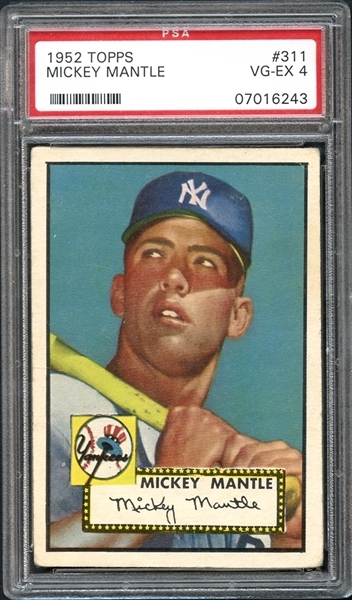 The presented example of the famous card #311 from the groundbreaking 1952 Topps issue has been graded PSA 4 and, though graded accurately when you consider all of its traits, offers several aspects that clearly stand out as superior against others at this level. First off is the most desired feature, the central image. No creasing, no discolorations, no glaring blemishes of any kind, just a sharp and bold image of "The Commerce Comet," golden bat on his right shoulder, set against a deep blue-aqua backdrop that is comparable to examples graded much higher. Another above-grade characteristic high on the preferences of advanced collectors is, of course, the centering. Most '52 Mantles at this grade are woefully shifted to one side or another, but the featured card is nearly perfectly centered save for the slightest angling along the vertical edges, again in line with examples a grade or grades higher. Each corner is moderately rounded at a level commensurate with the grade, though their consistency makes it a lot more palatable to the eye, with slight wrinkles near the very tips of the right side endpoints. 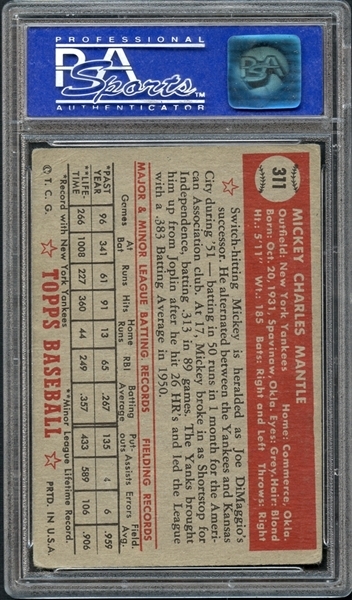 The reverse is perfectly fine for the grade, adequately centered with no paper or surface issues. For this grade level, it's a perfectly acceptable specimen that any prospective buyer should be very satisfied with.